Kids thrive on schedules and predictability of daily routines also help children feel safe. What types of things should you schedule into your child’s day? 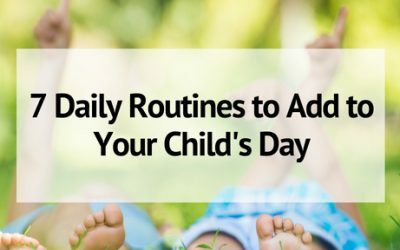 Here are 7 daily routines that will enhance your child’s day. 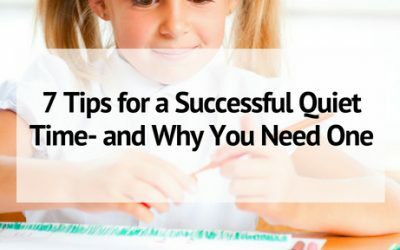 Being a mom can mean some long days- learn why a daily quiet time will benefit you AND your kids, plus tips on how to have a successful daily quiet time. 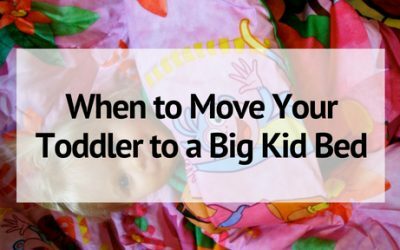 Is your toddler ready to move from the crib to a big bed? Read about when the best time is to make the move and some tips on making the transition go smoothly. Don’t let your teen go out to live on his own without being prepared! Make sure you have taught these 25 life skills for teens BEFORE your child leaves the house. Chores are an important part of childhood that sets your kids up for good habits later in life. 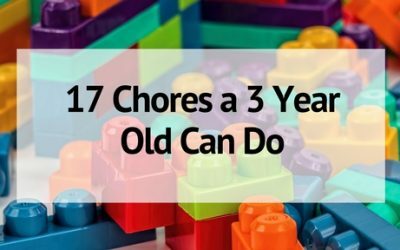 Here are 17 chores a 3 year old can do all by himself! Sleep is one the biggest issues for new parents. 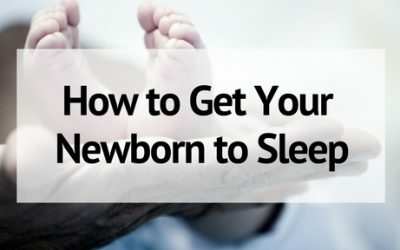 Get tips and tricks from a mom of 6 on how to get your newborn to sleep- and stay asleep!